What makes breakups, divorce or separations so complicated or difficult? Children, money, material things and yes even pets. These four things further complicate peoples lives and while going through them one must always expect a fight. That's is why I am advising anyone who happens to be reading this blog to use preventive measures in order to keep from ever breaking up or divorcing their spouses. Once the people who are in relationships or marriages learn how to stay together instead, of learning the skills to separate, then they will have something that may last for a lifetime. The question is how does a couple acquire the skills to become one and stay that way forever? By keeping something's or important things about themselves, their marriages or relationships between themselves. Its a known fact that over 66 percent of all marriages fail because family members, neighbors or friends were allowed to know a little to much about the persons they know personal business. 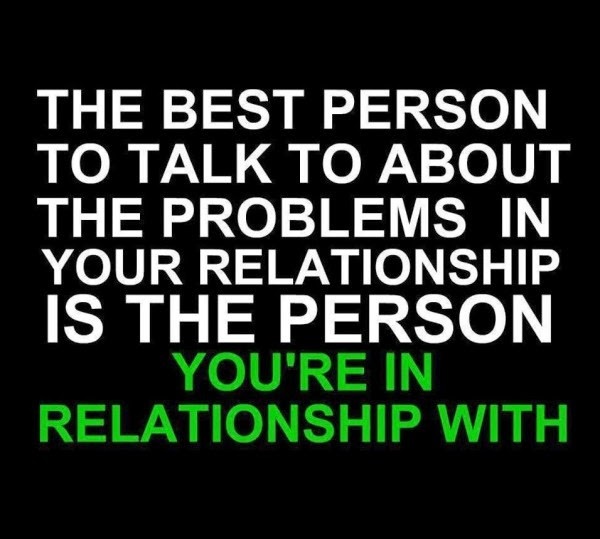 I also have found that people who are in relationships or marriages worry to much about people who have nothing to do with their own situations. Its a known fact that worrying or being concern about other peoples problems will only cause harm to those who are already in established relationships. Which reminds me of what my mother would say to us as children, when she would say," What happens in our house or behind closed doors is our business, no one in the outside world should know what"s going on in our house". Then she would look at each of us and say what happens here in this house, stays in here! Its between us you got me? No one else! I won't allow anyone or anything destroy this family! Imagine if all families or marriages felt as strongly as my mother did when it came to keeping the family business or secretes. But as you know no one these days keep anything to themselves and their mouths run like water, telling everyone they know their business. If that isn't enough some post their personal business on Face Book, Twitter, My Space and other social networks proudly on display for the whole world to see. Some even post pictures of their food, children, spouse and their most intimate moments online. Then there are those who happen to be spiteful or vengeful who post negative comments about their family members, friends and yes those ugly secretes that only a spouse or lover should know about. What a lot of people fail to realize is the more people know about you or relationship the more information they have to use against you. In other words its always wise to keep some business or secretes to yourself and only share bedroom secretes or intimate moments, personal business, matters or problems only with the ones you can trust or love. Once one allows the outside world in what's meant to be a secrete or between your spouse will be one display for the whole world to talk about, judge or to see. When in fact it suppose to be only between the two of you or Between Us. As the old saying says it takes two to make it, that's why whatever happens in each of our lives should remain, Between Us! Write in then express your thoughts or feelings on the subject.